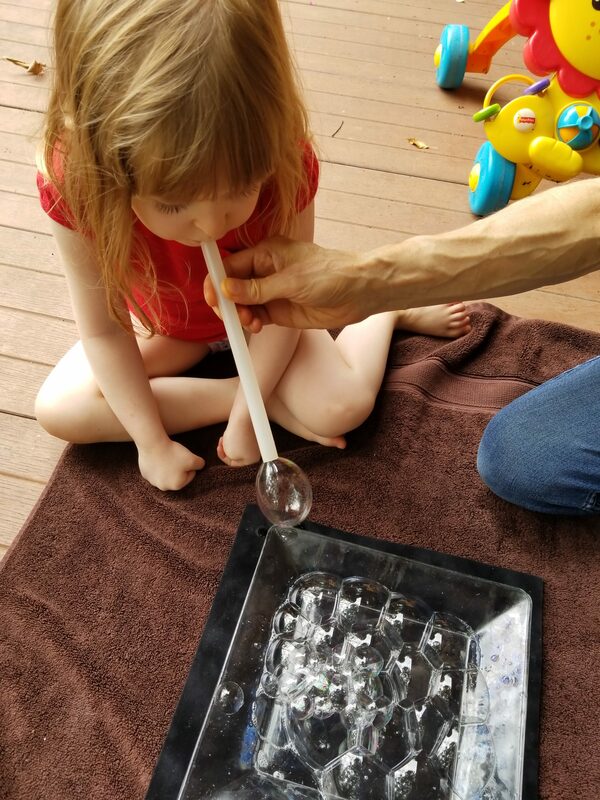 What do bubbles and bees have in common? Efficient use of space and material. 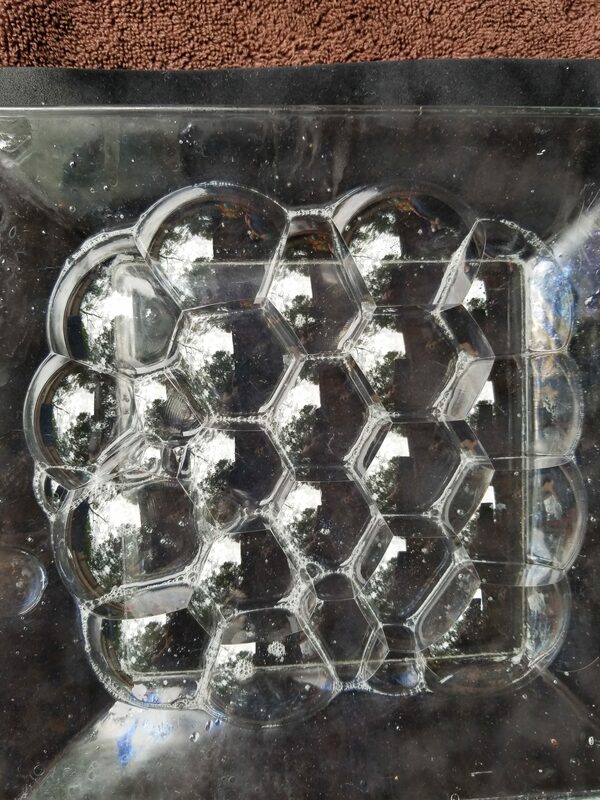 A fun experiment with bubbles shows why bee hives, hornet and paper wasp nests use hexagons. Use our Scratch model to compare different shapes utilization of space and units they can hold. 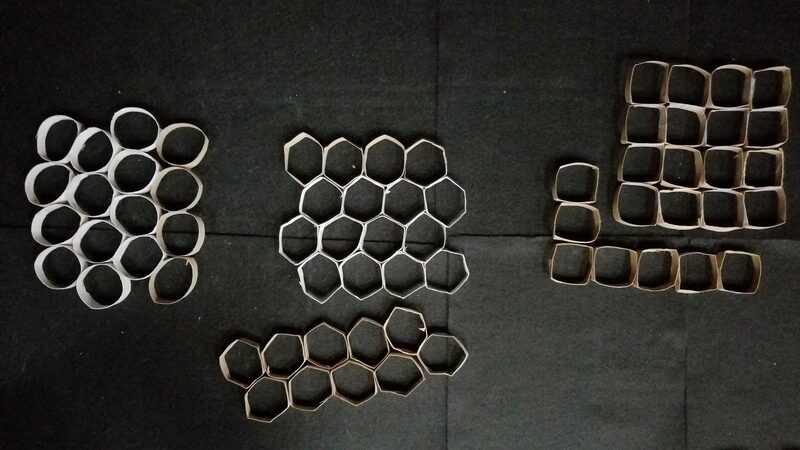 Which shape can contain the most units using the least amount of material, for example containing the most honey with the least wax? 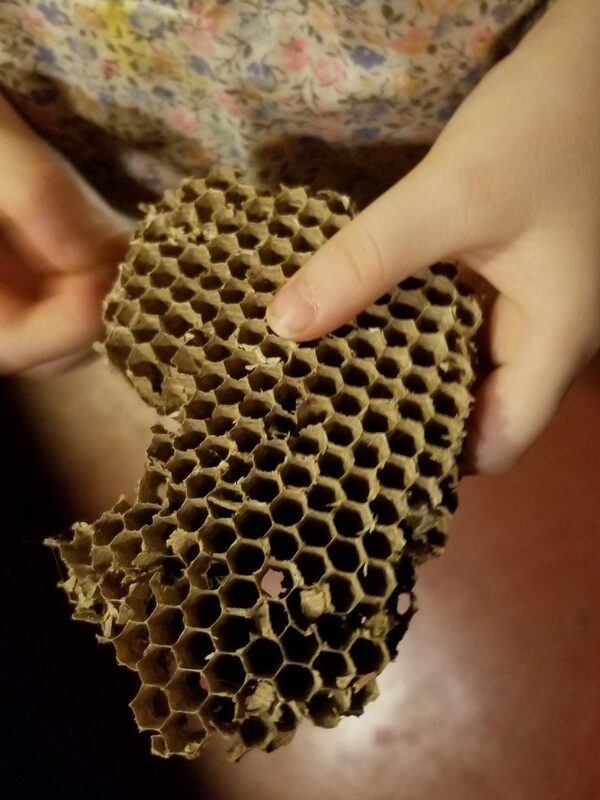 Take the cardboard tube that is inside a tissue or paper towel roll. Cut it into slices (about 1/4 inch to 1/2 inch thick), tape them together. 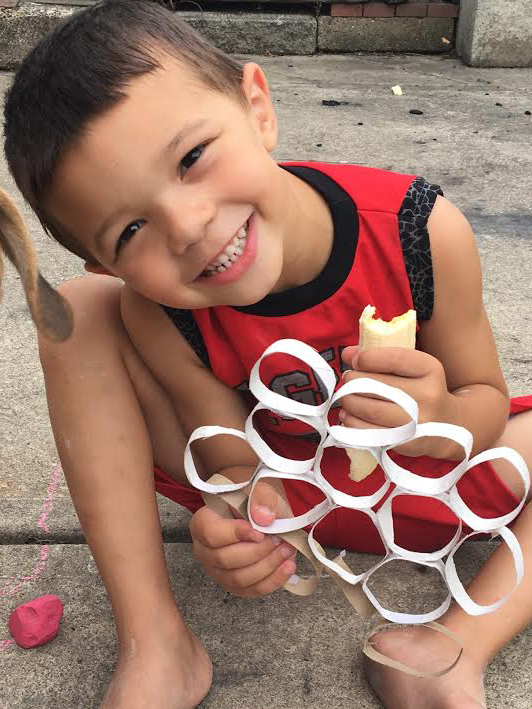 Try shaping them into squares or hexagons. Compare the different shapes. Compare the cardboard used up in the different designs. Which shapes can use the least cardboard? You could eliminate double walls, if there are any (in the case of the hexagons and squares adjacent walls could be made into a single shared wall). Try cutting away the extra wall and see how much cardboard you save. 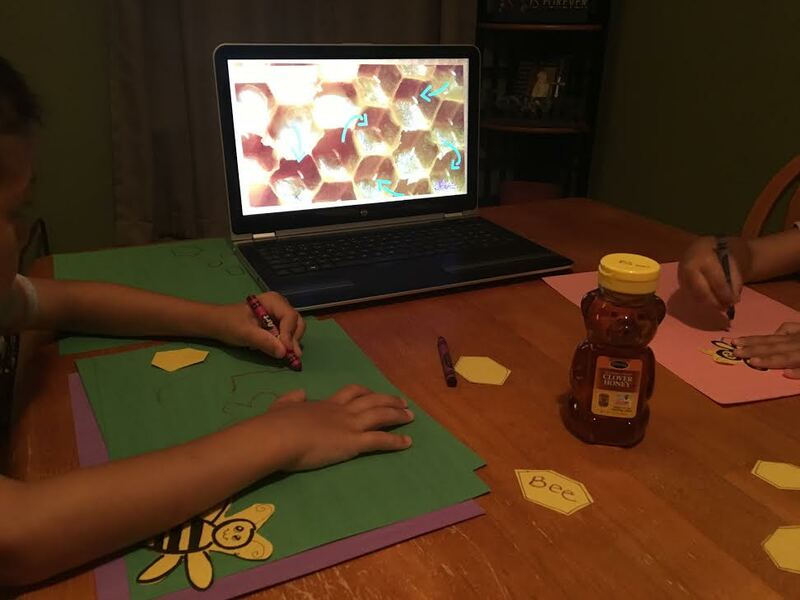 Which shapes can contain the most honey? 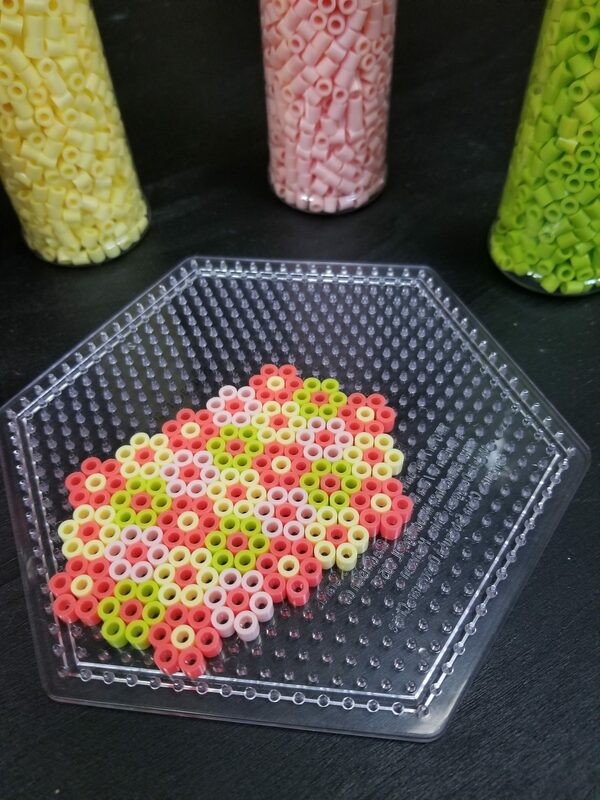 A simple way to tell is to fill them up with beads, then count the beads. 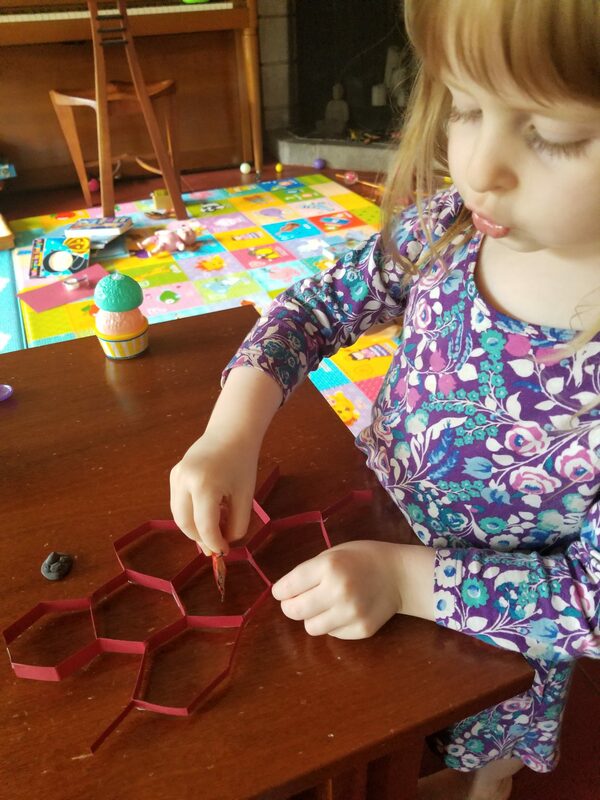 Use other crafts, like the beads below showing hexagons within the hexagon, to show how hexagons pack very tightly and regularly and work as a template for beautiful patterns. 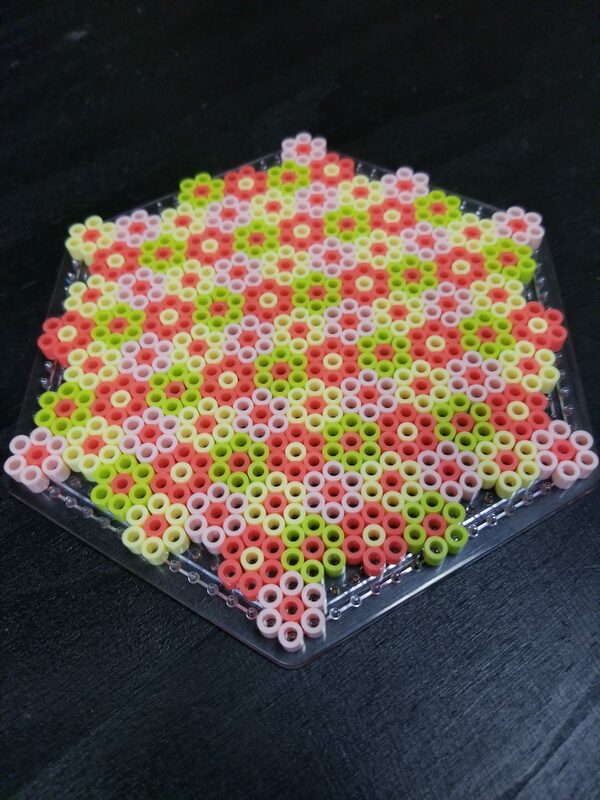 We chose four colors we at the beginning and decided the center bead could be a different color (optional). 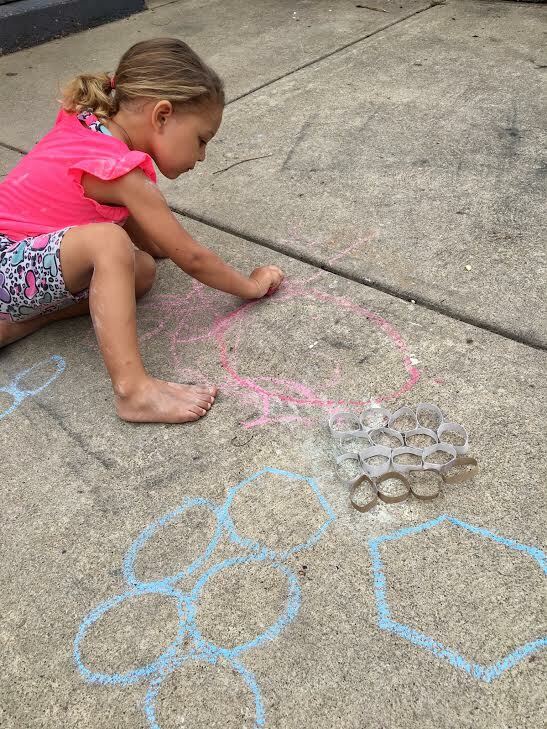 We didn’t plan the entire pattern, but rather chose to always place a different color next to neighboring hexagons. The resulting pattern happened by itself, resulting naturally from that simple rule. The bead patterns look a bit like “millefiori” (million flowers) patterns common in Venetian glassware. 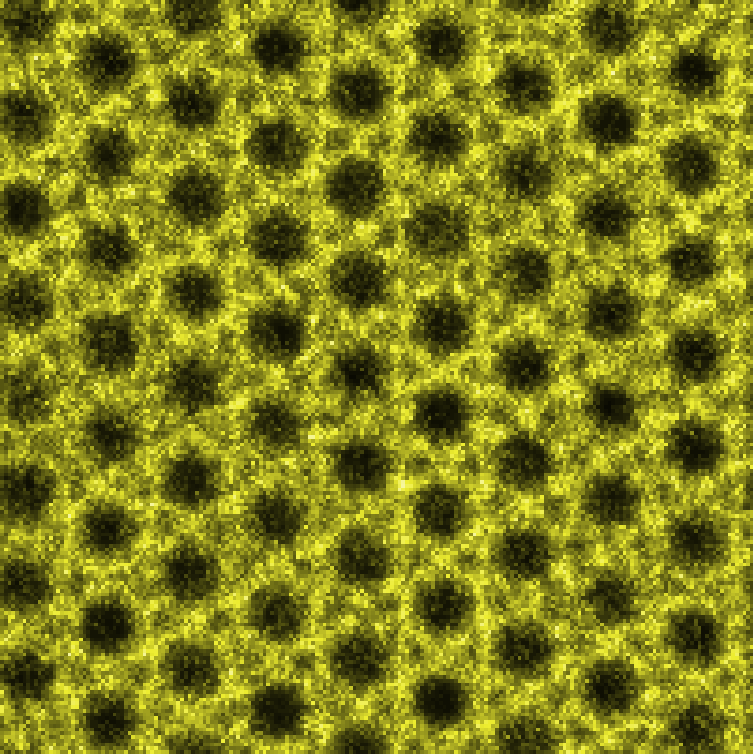 This is the result of a computer simulation of bees making a honeycomb. Try the online model here. 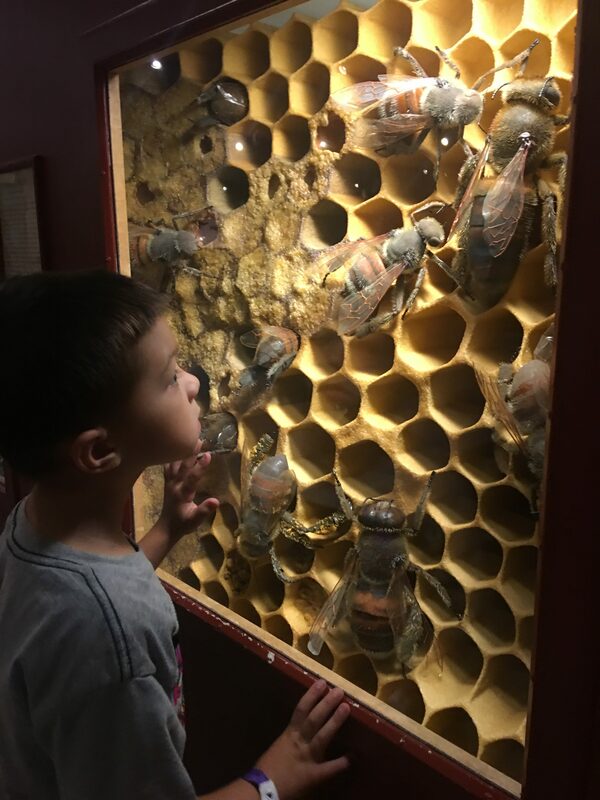 Bees move in a clockwise circle, leaving behind a pheromone that affects the behavior of bees crawling over it. Bees move faster when there is more pheromone, but also decrease their turn radius. Over time the arrangement maximizes the number of circles that can fit on a surface.